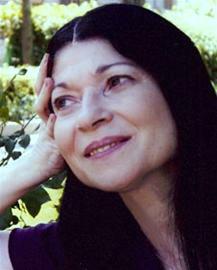 Shlomit Cohen-Assif was born in 1949 in Iraq and came to Israel in 1951 with her family. She grew up in Holon, where she still lives today, and studied at Tel Aviv University. She began publishing poetry for adults and for children during her military service. Cohen-Asif is one of the most prominent Hebrew children's poets. Her works have been adapted for the stage and radio; they have also been the subject of dance and set to music. Cohen-Assif has written many children's stories, and her poems have been included in numerous schoolbooks and anthologies, both in Israel and abroad. Cohen-Asif has been awarded many prizes, including the ACUM Prize three times (1979; 1980; 1982), the Ze'ev Prize twice (1981; 1990), the Prime Minister's Prize twice (1984; 2001), the ACUM Prize for Lifetime Achievement (1995), the Fania Bergstein Prize (2003), the Bialik Prize (2010) and the Arik Einstein Prize (2017).